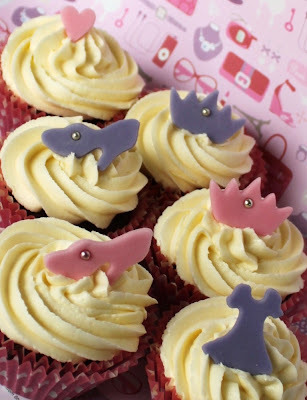 Some of you will know Bel from EmBelIsh but did you know about her new venture Enticing Icing? 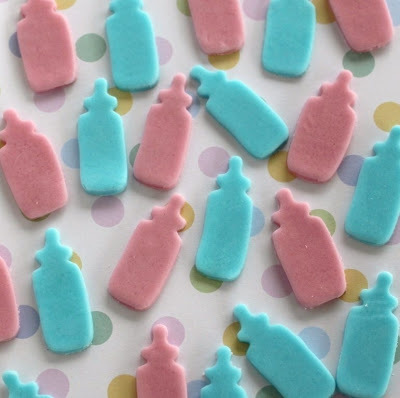 Cute, practical and ingenious, Bel's sugar art creations are sure to be a crowd pleaser, plus they last for months so you can stock up till your heart's content. Can you tell us about the inspiration behind your sugarart creations? I would have to say my Nan is my biggest inspiration, every year until I was about 10 she would create these amazing cakes for me (sometimes 2 if I couldn’t pick just one design) and she also made wedding cakes and little Marzipan creations that were so life like. I have always loved cooking and baking sweets and desserts in particular and always enjoyed making birthday cakes for my niece and nephew and now my own boys and close friends children so I guess it has just been a gradual progression from that. I found that like me lots of my friends also liked to bake but then weren’t sure how to decorate their creations to turn them into something amazing so I also wanted to make a product that would help them do that, whilst still having that ‘home made’ feel and giving them the pleasure of creating something for their family and friends. 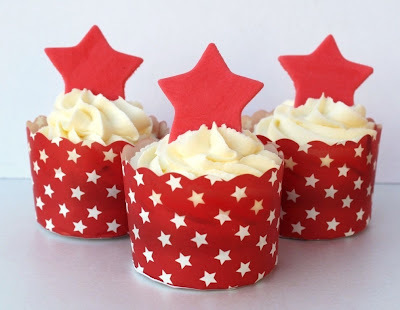 Do you find there are similarities between your EmBelISH creations and Enticing Icing creations? I guess I still tend to go for the ‘girly’ designs, the reason Em and I started EmBelISH was to fill that void of both having boys and I guess in a way I think I do the same with Enticing Icing. 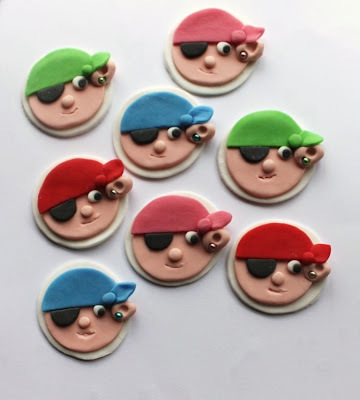 Although I have to say I am starting to think more about ‘Boy’ designs and I guess my latest Pirate collection shows that. Having a 3 year old boy with lots of opinions also helps that problem, I am sure there are going to be some Cars and maybe Trucks in the not too far away future. 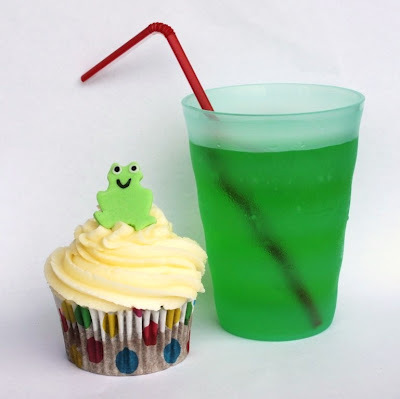 What was the biggest challenge in setting up a business creating Sugarart? I guess like any stay at home mum with young children I would have to say time. I wish I could create all day but it feels like there is always someone in the house who needs attention. Sunday afternoons/nights have kind of become my creating time, so I normally cook dinner early and clear out the kitchen. Being a craft involving food preparation it’s not something I can sit in front of the telly and do at night so I need to be organised about when I can create. For more Enticing Icing check out Bel's website and Etsy shop. My god how cute is this icing!! Clever chook. I love a cupcake! These sweet decorations are fantastic, how very clever! Wow, what creativity! The aesthetic reminds me of a cross between modern craft and the kitshy vintage cup cake picks I love. We loved our little Enticing Icing butterflies and flowers that we had recently at our fairy, elves + dragon party! I'm planning a pretend party, just so I can order some more. 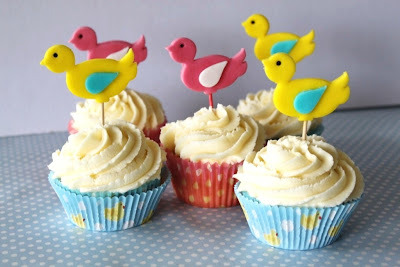 I love those birdies - great little Easter theme, I think. Have an excellent market day, girls - I'll be sitting on a boring airplane, but will be willing good weather and smiling customers. I can vouch that the froggy toppers are a winner with the seven-and-under set. One of our grandchildren sucked the life out of them and left the cupcakes!